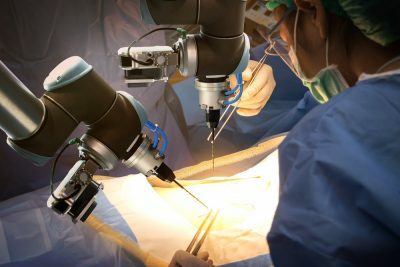 Medical robots are a growing reality in the health field. No longer confined to sci-fi movies or TV shows, they are being used to speed up and increase the precision of surgery and hasten recovery. To prepare for their growing presence in hospitals, you’ll want to learn more about them. Currently, many jobs are repetitive, and yet, require hours of human labor to complete. Such jobs include cleaning tools, finding medical records, and verifying insurance take up many hours of physician’s, nurse’s, and receptionist’s time. Though the fear of losing your job to an inanimate object that won’t need money is scary, by learning how to teach them, deal with them, and maximize your role by using them, you can secure the future of your job and become irreplaceable. 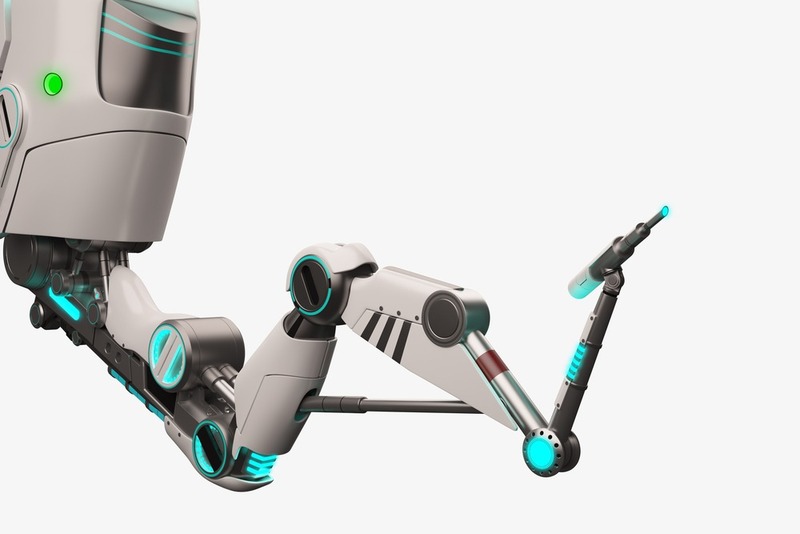 Here are six ways that medical robots have benefited the healthcare field. According to the Centers for Disease Control and Prevention (CDC), 1 in 25 patients will get hospital-acquired infections (HAIs). These infections may include Methicillin-resistant Staphylococcus aureus (MRSA) or Clostridium difficule (C. diff), and 1 in 9 patients will never go home. Introducing the Xenex Robot. Built to sanitize any space, this robot eliminates potentially deadly microorganisms using specialized UV disinfectant procedures. The Westchester Medical Center’s intensive care unit showed a 70 percent drop in C. diff after using Xenex robots. Cleaning and properly sanitizing a hospital can take many hours of detailed human labor. Even after cleaning, microorganisms may remain because areas are unreachable or time constraints must be adhered to. The Xenex robot acts without supervision and will reach all floors, walls, ceilings, and corners to protect patients from HAIs. With the ability to recognize 20 languages, a “social robot” called Pepper may grace the lobbies of many hospitals, offering smiles, directions, and comfort. Two Belgian hospitals have already hired Pepper robots as receptionists. Standing 3.9 feet (1.2 meters) tall, Pepper is programmed to recognize the different vocal tones of a man, woman, or child. When you are lost or having a bad day and looking to see a smiling face, Pepper will always be there. for people, working as a receptionist can be very difficult in a large hospital. Time is limited, people are harried, and crises pop up from every corner. The stress is very high and human receptionists may not always be able to show their best sides. But, Pepper, and the smaller humanoid robot Nao, have no best or worst side, only programming. When you are lost in the labyrinth that can be a hospital, searching for your loved one, Pepper can show you the way. In addition, Pepper and Nao may be used to help with physical therapy and comfort for children before surgery. But, that functionality will be implemented in the future. With Pepper and Nao handling the receptionist duties, the human receptionists can get from behind their desks and use their magnificent abilities to innovate. Utilizing robots that can provide a surgeon with greater reach through angles that can’t be achieved by human hands, smaller incisions for most procedures, and a high-definition magnified vision system that offers a 3D picture, the Da Vinci Surgical System is a revolutionary device. Able to perform surgery with the utmost care and precision, you’ll be relieved to know that this device does not perform surgery by itself. At all times, the surgeon is in control. Without having to account for his/her large hands and limited range of motion, your surgeon will be able to fix areas that were deemed hopeless. The Da Vinci Surgical System is so precise and gentle that it is able to stitch a grape back together without spilling a drop of juice. So far, Intouch Health has performed 750,000 remote clinical encounters. These are often geared towards people who live in rural areas or other situations where they are unable to get to an emergency room in a reasonable amount of time. Remote clinical encounters are performed by “telemedical robots” that can assist with procedures such as burn accidents, stroke, and cardiovascular-related conditions. These robots can provide high-quality consultations in emergency situations, so patients can stay in their town and get medical care much faster. Lifting patients will be a thing of the past. Whether they are in a coma or have severe cerebral palsy, the Robot for Interactive Body Assistance, or Riba, can lift patients out of their beds 40 times a day. This will reduce a lot of strain on medical personnel and reduce the number of people needed to transfer a patient from one bed to another in an emergency situation. Not only can it lift patients, Riba can also help them stand, and prevent bed sores by turning bed-ridden patients. Geared towards patients who live at home, Riba is an amazing robot that can fill the gap of carers that exists in the medical field, especially for patients that require extensive care. Always patient and never tired, Riba will improve the care of many patients who want to stay in their homes but need some assistance. In less than a minute, you can have your blood drawn with Veebot. 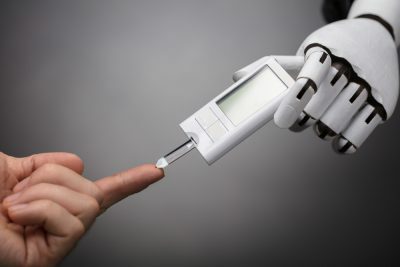 This robot can accurately detect your most promising vein with 83% accuracy and perform the draw cleanly with a lot less movement, so you can go home without bruises, swelling, and pain. Getting your blood drawn is a scary process, with a lot of horror stories, no matter who, or what, is doing it, but Veebot can make the process so fast you’ll hardly have time to get scared. In. Out. Done. That’s how getting your blood drawn should be. These are just a few of the amazing capabilities that medical robots can provide. With robots available for comfort and insurance-related activities, the health field is looking more people-friendly than it ever has.